A woman accused of orchestrating a vicious attack on a mother and her 3-year-old daughter with liquid Drano has been sentenced to 15 years in prison. 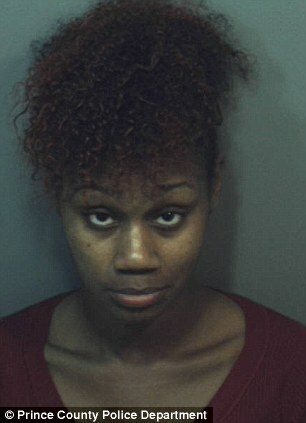 Tamara Jackson, 31, was convicted of several charges, including second-degree assault, for her part in the March 29, 2010 incident in suburban Washington, D.C. Her accomplice Tikia Anderson was also convicted of charges against her, including possession of a deadly weapon with intent to injure. She was the one who poured the powerful chemical on the two, and is currently serving an eight-year sentence. Jackson was sentenced to 15 years in prison on Friday, after a jury found her guilty of conspiracy to commit first-degree assault in May. Prosecutors said that she was primarily motivated by jealousy, for the express reason that the woman, Katrina Watts, had recently began dating Jackson’s ex-boyfriend. According to a Patch article from last year, Jackson and Anderson drove to Oxon Hill, Maryland and waited in a parking lot for the boyfriend’s new girlfriend to come home. When they saw Ms Watts approaching, Jackson took a bottle of the liquid Drano, opened it, and poured some of its contents into a cup, police said. Fearing that the woman would recognise her, Jackson convinced Anderson to douse the new love interest in the lye product. 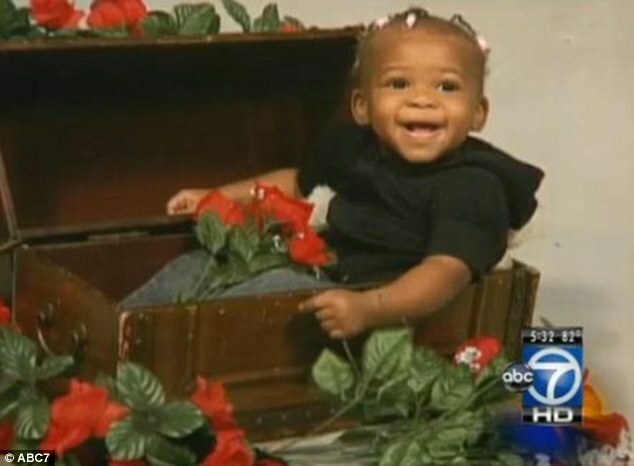 Anderson managed to steep the woman and her 3-year-old daughter on their bodies and faces. After the attack, the mother ran to find a police officer, and told them that she had been attacked. 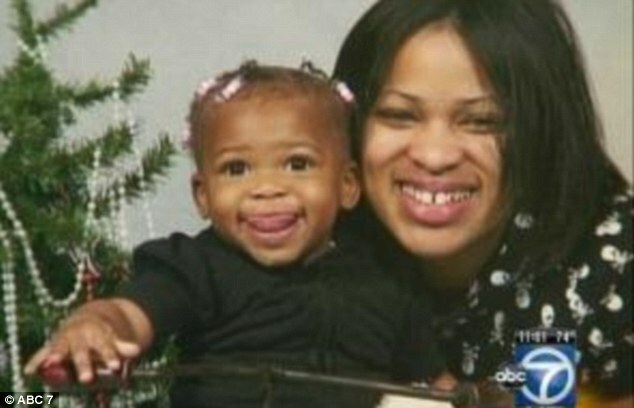 She and her daughter were rushed to a nearby hospital, where they were treated for burns. However, the Drano had done its damage, and both were left with permanent burns and disfigurements because of the attack. 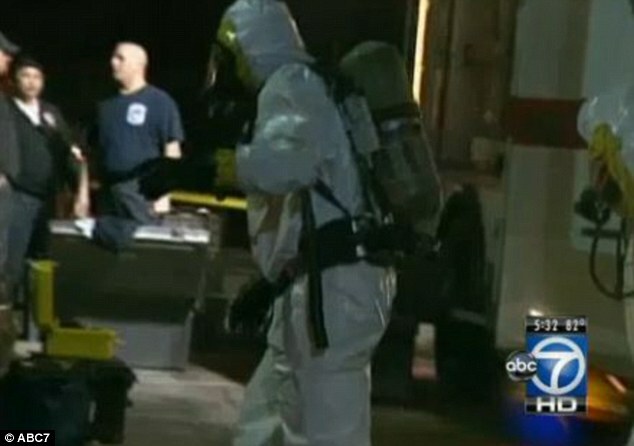 Police said the girl had severe chemical burns to her head, torso, and below her eye. According to a report by WJLA in May, Ms Watts and the man involved in the love triangle did not end up getting back together. Drano, used to clean plumbing of clogs and residue, is comprised of several strong chemicals, including lye, sodium silicate, and sodium hypochorite. 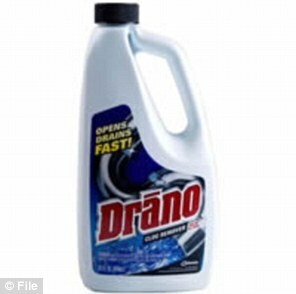 Drano’s labels warn that their product should be handled with care, in well-ventilated areas, and with groves. Ms Watts said at the time that she was livid at Jackson for attacking an innocent child, and was upset she couldn’t do more to protect her daughter. 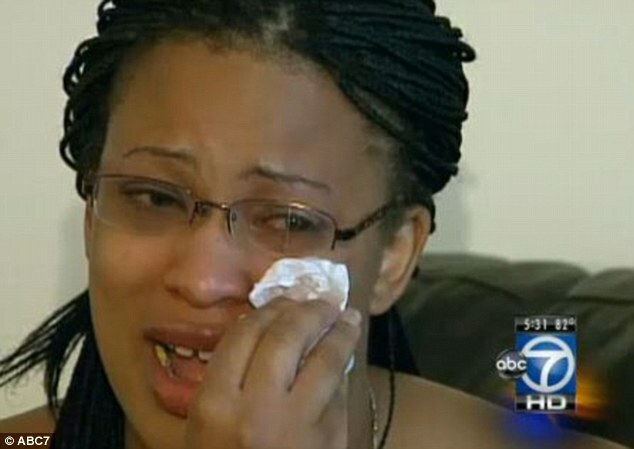 ‘I could only just cry, because you don’t want that to happen to your child,’ she said in the tearful interview. The mother said when she first saw her daughter’s face after the attack, she was shocked. During the trial, Jackson’s defence attorney said that his client harboured no ill-will toward Ms Watts and denied her role in the attack. 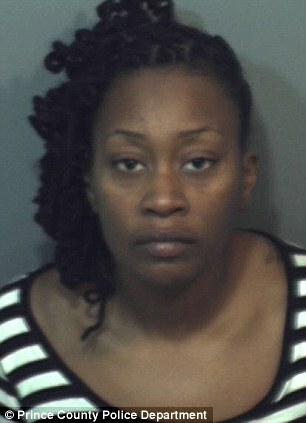 Anderson took a guilty plea in exchange for testifying against Jackson, and was sentenced to eight years in prison for her role in the attack. The Maryland Gazette reported that Jackson read a prepared statement ahead of her sentencing. She said: ‘I’m deeply sorry for being here and it’s very unfortunate what happened. Oxon Hill, Maryland, is around 10 miles southeast of D.C., and has a population of around 18,000.